The Strata-Sphere » Did The FBI Really Destroy State Department Property? Did The FBI Really Destroy State Department Property? So, apparently the FBI helped HRC destroy evidence? House Republicans are demanding to know why Justice Department officials entered into a pair of “side agreement” with Cheryl Mills and Heather Samuelson — two of Hillary Clinton’s top former aides who went on to become her personal attorneys during the FBI’s email investigation — that allowed law enforcement agents to destroy their laptops after searching their hard drives for evidence. (emphasis mine) This is completely unethical and probably illegal. Since when does the FBI have the authority to delete State Department Records? One thing was known for sure at the time of this convenient destruction: when the FBI investigated Cheryl Mills and Heather Samuelson it was clear Congress had put EVERYONE on notice that no records were to be deleted. So let me point out the smoking gun here. If the State Department had deleted the records that would be a blatant cover up. But would anyone noticed if they FBI did the deletion? The laptops were the property of the US Department of State, not the US Department of Justice. They were covered under federal records law (from 1968, so no one can claim this is new). The fact is the FBI would normally never destroy evidence. But it also cannot destroy property that does not belong to it (say a personal computer or car confiscated under warrant). .01 Lawful disposal or removal of records. a. In accordance with 44 U.S. Code 3301-3314, records are lawfully disposable only if they have been properly included on a Records Disposition Schedule or List that has been approved by the Archivist of the United States and, if necessary, concurred in by the General Accounting Office. b. 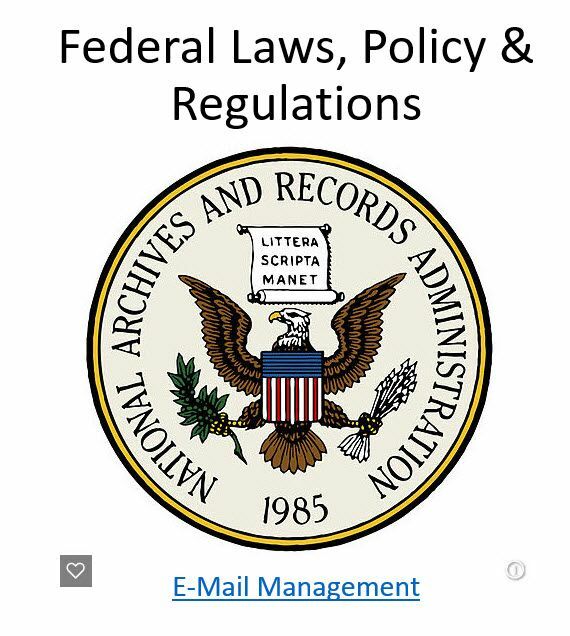 In the Department, typically such records disposition authorizations, received from the National Archives and Records Service, are issued to operating unit or staff office records custodians in the form of a Records Control Schedule. This clearly indicates the only authority that could delete these records (or destroy this evidence) were State Department records custodians, and only after permission from the Archivist of the United States or GAO. First thing I would do if I was Congress is I would get a copy of all electronic records going back to 2008 from the State Department. Clearly there is something not right there and they need to confiscate everything now. And then I would begin to pour through all the backups. I would wager every time these folks got a new computer the data from their old computers was stored off. But there are going to be remnants of what was on those destroyed systems elsewhere. And then I would haul in the FBI leadership and demand to see their permission slips from the USA Archivist or GAO. No permission slip would trigger immediate criminal charges. Trust me, tongues will begin wagging once that happened! Comments Off on Did The FBI Really Destroy State Department Property?